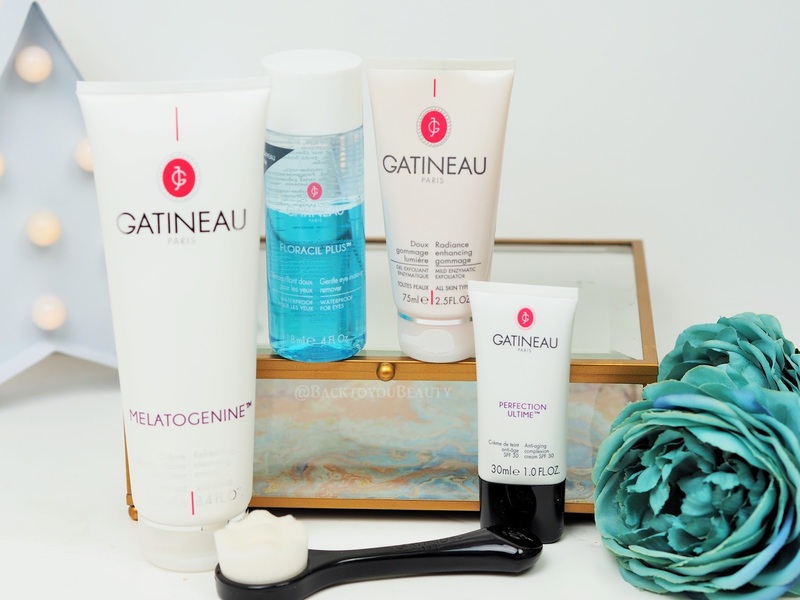 Celebrating Eighty Five years of incredible skincare, Gatineau are launching a collection containing two brand new products and some much loved favourites. 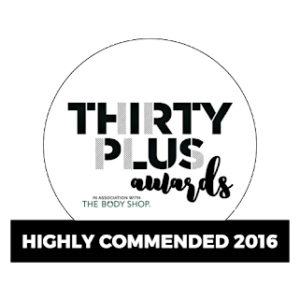 This collection is so exciting and is an absolute powerhouse for anyone struggling with the signs of skin ageing. This five piece collection is perfect for deeply cleansing and brightening the skin and seeing you through those Sunny, Summer months. There was huge customer out cry when the original and bestselling Floracil eye make up remover was retired, there were so many loyal fans that used it for everything from, the obvious removal of make up, but also to freshen tired eyes, gently awaken the eye area and give an overall brighter more awake look. Floracil plus is not the exact same product. It is a Bi-phase formula which gently removes all traces of makeup, including waterproof from the eye and lip area. Formulated with hydrating Aloe Vera, protecting Witch Hazel and conditioning Vitamin A, this is Ophthalmologist tested and fragrance free making this suitable for even the most sensitive eyes. Now, I have incredibly sensitive eyes that are often prone to infection and the original Floracil was a life saviour for me so I was super interested in trying this. I did a side by side comparison to the original Floracil (of which I still have half a bottle left) and used that on one eye and Floracil Plus on the other to remove my mascara. This is just my opinion:- Floracil Plus, removes make up quicker than the original, which is a plus, it seems to cling more to mascara and lift it away effortlessly. However, as this is a bi-phase (aqueous and oily) It does have a slightly oily residue that my eyes just do not like and that did cloud my vision momentarily, which I dislike. The original Floracil is more of a cooler, water consistency. For me this is completely different to the original and I would really love to hear your thoughts when you try it. I think I will move on to the Gentle Eye Make Up Remover instead, which is more of a similar consistency to Floracil original. This one is not for me. Sorry Gatineau. This is a brand new item from Gatineau and one that I was very excited to try. I already use facial brushes when cleansing as they really suit my skin type and help me get the best deep clean I can. But, you have to be very careful which brush you use, especially if you have thinning sensitive skin. This new launch from Gatineau has the softest, almost spongy bristles that are shaped to easily fir the contours of the face. It has a lovely shaped handle making it comfortable to hold and use even when wet. Having already removed make up, apply a pea sized amount of the cleanser below and a little water into the palm of your hand and lather together using the brush. Gently apply using circular motions over you damp face and work you way from cheeks and forehead to the nose. You will be surprised at the difference. It is great to get into those pores and clean deeply. This is huge and will last you an absolute age. It is a beautifully, nourishing, fresh and hydrating, creamy foaming cleanser. With some foaming cleansers you have to be so careful so as not to strip the skin, but this completely soap free formula works really well even on my dehydrated skin. This cleanser gently exfoliates the skin as you are cleansing and makes the skin look bright and fresh and encourage new skin cell renewal. 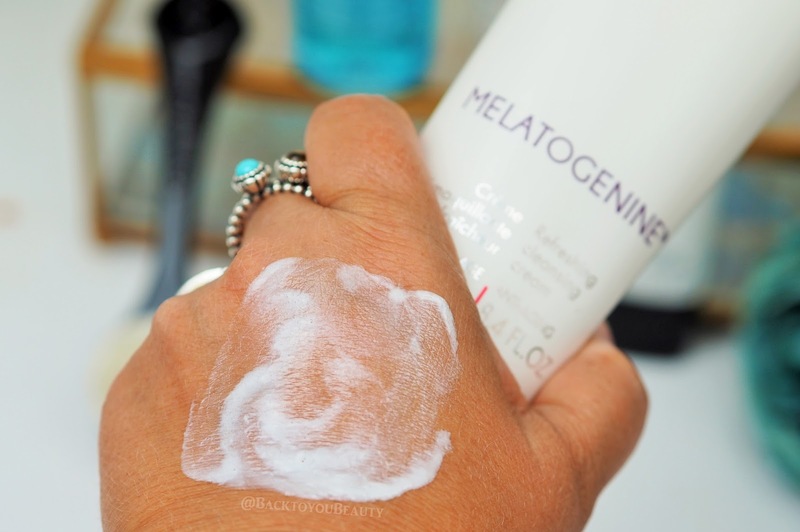 Containing Melatogenine to fight against those fine lines and wrinkles and sweet almond oil to deeply nourish the skin as it cleanses, it is really quick and easy to use. It doesn’t really have a fragrance, just smells fresh. I apply a pea sized amount to my damp face and gently massage in. I use small circular movements to buff the skin and remove grime, but do not use it on my eyes. In the evening I rinse with warm water and in the morning with cool water. My skin is left looking and feeling clean, fresh and nourished. 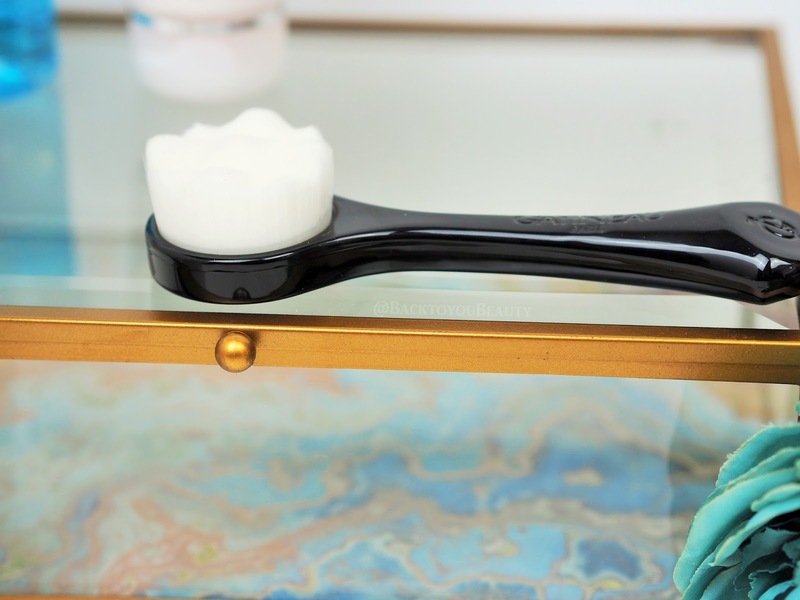 Can be used by hand or using the New Deep Cleansing Facial Brush above. Another much loved product that I use on a regular basis, is this Radiance Enhancing Gommage. As you may know I love a great exfoliator. There is nothing worse than the thought of leaving dead skin cells on my face as this just leaves skin looking grey and lifeless but also means any products applied on top cannot work to their ability. Sloughing away these dead skin cells really awakens the skin, takes away all those impurities and leads to a brighter, healthier looking complexion, which we all want right? This product is perfect for all skin types including sensitive skin and uses a mild enzymatic formula to remove the dead cells. You will not feel any particles or grains scrubbing against the skin, it is so gentle, looks gorgeous and smells OMG AMAZING! I literally salivate when I use this product hahaha. It has a real zesty, citrus uplifting scent that makes this an absolute joy to use. Massage the beautifully sparkly, illuminating gel gently over the face including crows feet around the eyes, on DRY skin. Leave it to sit for a minute or two and you will see that it has changed to a liquid. Rinse off with warm water and glowing skin should be glaring back at you! This is my hero product of the collection! A great tip – if after a period of ill health, stress, or tiredness, apply a layer all over the face and neck and rest for ten minutes then wipe away, this gives a more intensive treatment. This product should ideally be used twice a week. 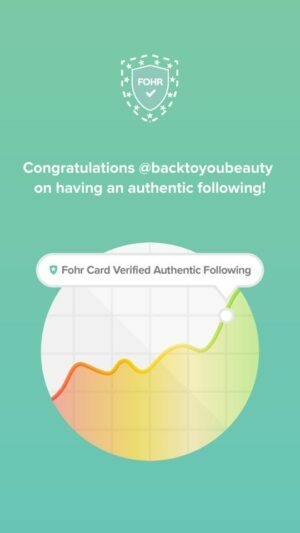 I have been a fan of this product since I started using it last year. I wear shade 02 Medium and it is perfect for me. This is your tinted SPF 30 that not only has a gorgeous hint of colour, but also gives a really lovely coverage to the skin. It sits really beautifully on the skin in place of or under your usual foundation. I apply this after my serum and my skin has a lovely, healthy, even tone to it. It is a really easy, creamy texture to work with and warms between your fingers and face making it very quick and easy to apply. 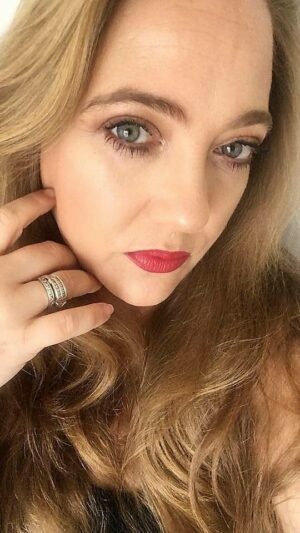 It gives a lovely soft sheen to the skin and is perfect when I wear it with mascara and a touch of lip balms for easy, no make up, make up days. It doesn’t feel thick or cakey on the skin at all and lasts all day, whilst offering that all important SPF protection. Perfect holiday make up item. 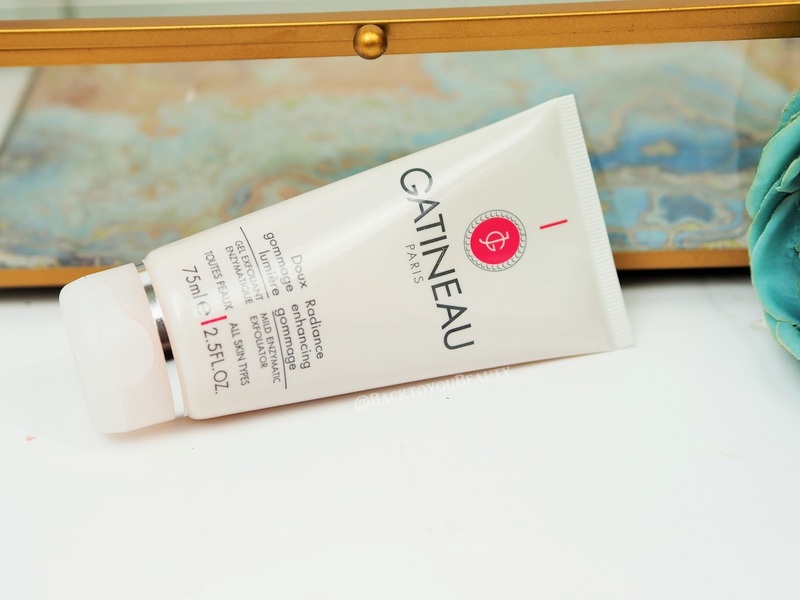 Have you tried Gatineau before? What do you think of the collection above? I would love to hear your thoughts, please leave me a comment below. "Laura Geller 20th Anniversary Collections!" "Tarte Cosmetics launch the BOMBSHELL collection in the UK – TSV"
Although I love my mainstay range. I think I'll give this a go. The products sound just what my skin needs. I'm on a high dose antibiotic and it's plating havoc with my facial skin. I got the Radiance Enhancing Gommage in a beauty box recently and so far my skin loves it! 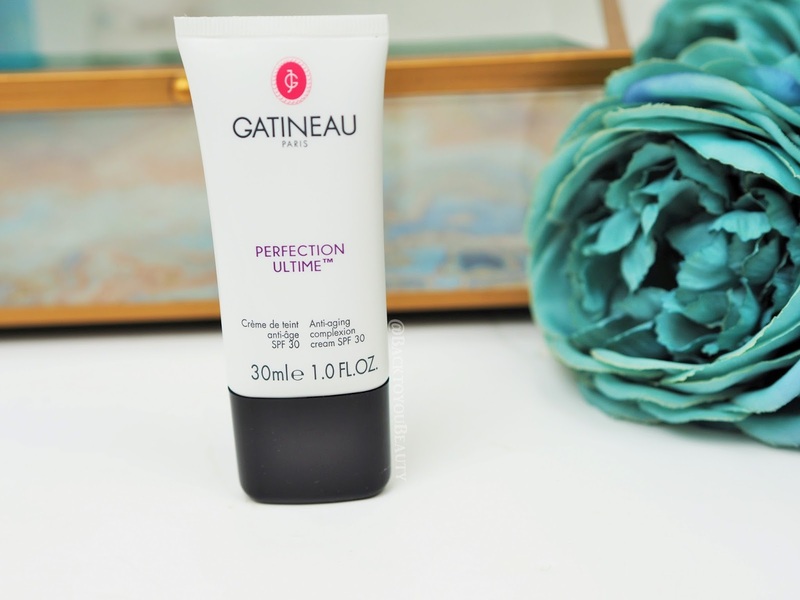 I absolutely love Gatineau – have been using it for years. Always use the Radiance Enhancing Gommage and the Foracil (original. Absolutely hate the two latest Floracil's they do. One like paint stripper and the other like pouring oil into your eyes. 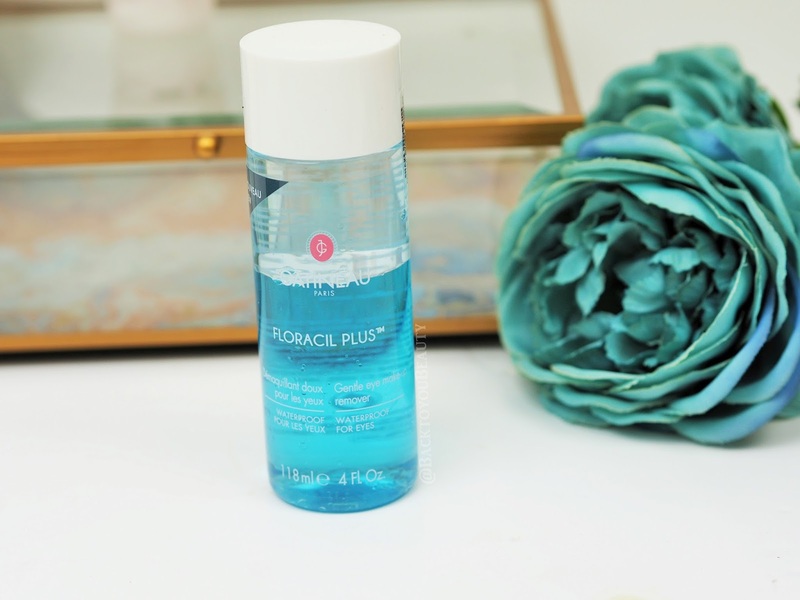 I actually used the original Floracil for many more reasons than simply removing eye make up. 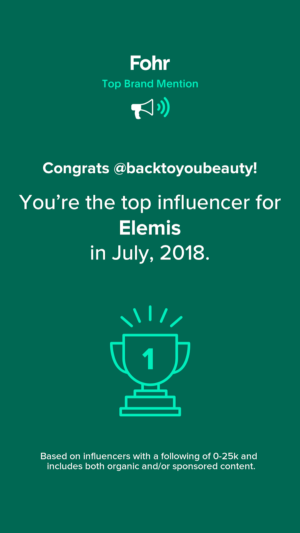 I used it to cool and calm my eyes from itching, air conditioning and all sorts and basically popped some over my eyes every day whether I had make up on or not!!! I would love Andrew at QVC to bring back the original (and keep the others if he really has to!. The comments and re-sale's on e-bay, etc says it all. They must be losing so much money and customers from the that one loss!!! Not good business me thinks!!! As for the Perfection Ultime, I have never used it but am going to try and get hold of some as it sounds amazing (like most of their products!. 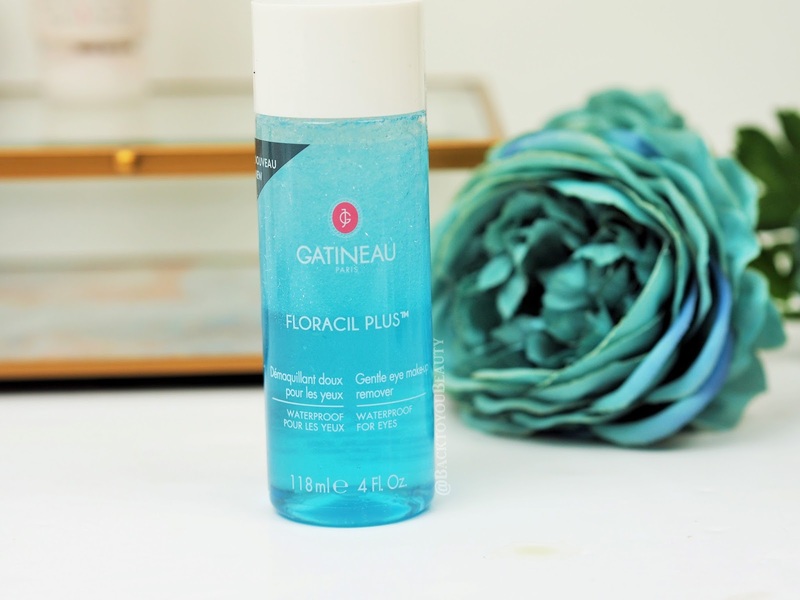 Always use the cleanser and even if I use another cleaner with rose in it, I always use the Gatineau one over the top!! Silly really but that is how much I love it. Thanks for all your great descriptions. Very helpful.